Dyslexics Will Conquer the World! We have found that our dyslexic students are the best engineers and artists at Cortona Academy. As Yale’s Center for Dyslexia & Creativity states, “ Dyslexia takes away an individual’s ability to read quickly and automatically, and to retrieve spoken words easily, but it does not dampen their creativity and ingenuity.” The most common problem parents report is that their dyslexic child is not capable of fluorishing in typical public or private schools. They cannot use and are not encouraged to use their naturals artistic, creative, innovative minds because they spend all their time trying to “get through core classes.” Cortona has learned that their valuable, non-liner brains are capable of advanced art and, especially, engineering. Our dyslexic students can see complex 3-D printed objects in about 30 different ways, while the rest of us who are linear learners (the non-dyslexic) only see two dimentionally. Because of this, our dyslexics are absolutely amazing in their ability to innovate and create. Until Cortona Academy entered hi-tech STEM education ten years ago, this powerful ability of dyslexic students was totally ignored. Instead, we strive to create relaxed, happy, well-rounded learners who are able to have time for their artistic and technological endeavors. We want to allow their brains to flourish, to be able to find joy. Everything we do at Cortona Academy is about the student. We strive to create and foster children with goals, ambition, and belief in themselves. We know after 25 years that our HTS-3 Systems work, that students graduate ready to attack college and beyond. Our systems are a means to an end, and that end is a healthy, happy, well-rounded and calm child. Whether dyslexic or not, we aim for our students to become proud, competent, independent learners using our systems to ensure frustration is gone, and that creativity is able to shine. At Cortona Academy we have spent the last thirty years perfecting our HTS-3 (Hi-Tech Speed Study Systems) that are absolutely invaluable to dyslexic students. These systems enable them to focus their minds, calm the storms of their own thoughts and disorganization and make sense of the material they read or hear. By using HTS-3, students are able to apply these revolutionary methods to all academic courses requiring reading, writing, and comprehension. 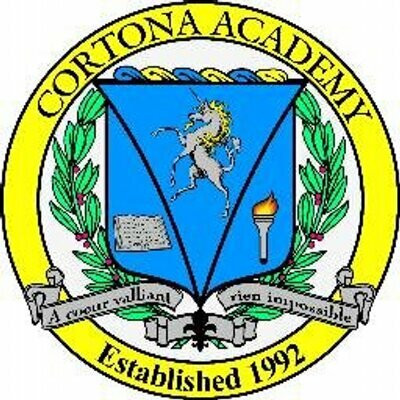 At Cortona Academy, we assess each student’s strengths and weaknesses then teach how to best implement HTS-3, insuring successful learning, dramatically decreasing homework time and eliminating stress and frustration. Cortona teachers are trained and able assess each of their students’ learning challenges, teach each to overcome them by using HTS-3 to learn any subject material they will encounter in any course while at Cortona Academy and in their lifetime! Therefore, a dyslexic student may be sitting next to a National Merit Scholar with absolutely no learning challenges, but because all are using HTS-3, no one in any class knows who the dyslexic students are! All are using the same systems on their own computers. “Everyone is equal” atmosphere shields the dyslexic student from facing academic discrimination by having to attend special classes, help classes, or learning centers. We show them that labels aren’t important. We choose to not focus on labels, either those that are seen as disabilities or those that show giftedness. Our students sit side by side, National Merit Scholars next to those with learning issues, and they learn together, using our systems as a means to conquer learning. This is exactly what HTS-3 does for our 6th – 12th graders, as they master systems that will take them through college, grad schools, and beyond. According to the Yale Center for Dyslexia and Creativity, one in five people have dyslexia, making dyslexia one of the most diagnosed neuro-cognitive disorder. This makes dyslexia the MOST common learning disability facing school age students. According to The International Dyslexia Association, approximately 30% of people diagnosed with dyslexia will have coexistent ADHD. This means that a large portion of students will have a difficult time learning and focusing. Given the fact that every student learns differently, without proper systems in place that take into account the way different brains process, students are destined to struggle. More importantly, they are bound to feel the effects of this struggle: poor self-esteem, frustration, a dislike of school and homework, and most significantly, a possible disassociation from parents and educators who don’t know how to help them. Parents of dyslexic children deal with their fair share of financial frustration, many reporting to Cortona Academy that they have spent astounding amounts of money for learning specialists, I.E.P. advocates, tutors and courses, some costing close to $10,000 per course! A very serious issue is that because dyslexia is often diagnosed when a child is younger, parents work quickly to find the “magic bullet,” systems and programs to help make learning easier, all costing a great deal of money! However, problems occur when parents and educators assume that the system a student was taught in elementary school years (by the school or tutors) will carry effectively into middle and high school AND that the child will even want to use them! Thus, parents often feel that they wasted a lot of money when the child balks at using the system parents paid for them to learn! This is because kids grow up, but so do their brains and their perceptions. Dyslexic Cortona applicants report that systems taught to them as children are “babyish,” boring, too slow, and ineffective in dealing with higher level courses. When the brain changes as the student gets older, the learning method HAS to change. Older students need to re-focus this different brain, essentially re-learning how to learn. This is precisely what HTS-3 does. In grades 6th – 12th, all Cortona Academy students use HTS-3 in all classes (whether they are dyslexic or not, thus not singling out those with dyslexia), then take these very systems to college and graduate schools. In America, it is not who gets into college, but who stays and graduates! *** This is especially true for dyslexic students whose drop-out rate far exceeds that of non-dyslexic students. *** HTS-3 makes learning doable for them; frustration is gone. Further, at Cortona Academy, we teach all learning-challenged students how to self-advocate politely yet firmly, so that whatever accommodations they take with them to college will be honored. Additionally, because of our PROVEN learning systems for dyslexic students, Cortona Academy is extremely effective in fighting for the legal rights of our dyslexic graduates to insure college and grad school accommodations also include the extremely valuable requirement for our dyslexic students to use computers for ALL standardized and non-standardized exams. This is a rare accommodation because this means institutions of higher learning (beyond high school) cannot take away a dyslexic student’s computer for any reason, including during exams.